Hello! This is a short Fairy Frolic story. 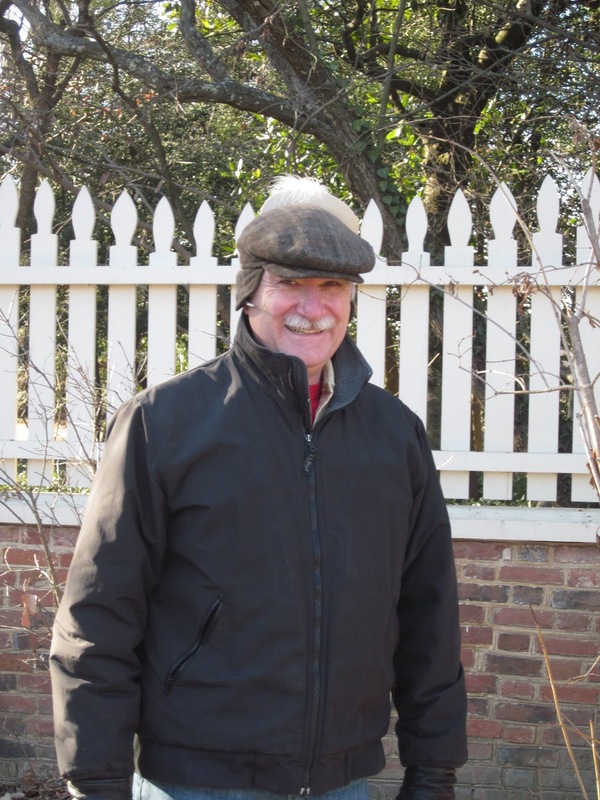 If you have read Bartholomew Cubbins and the Five Hundred Hats, you will enjoy this story even more! If you haven’t read it, here’s a link to the text. I set them on my bed and started doing other things, listening to Katelynne reading the story. The two dolls cuddled on the bed with each other even after Katelynne had finished, Camille still randomly turning pages and muttering to herself. “What is it?” Katelynne asked. “ELIZABETH! !” Both girls shouted and giggled. “And she’ll NEVER let us borrow hers! Not after the Uncle Andy incident!” Katelynne said. Indeed that hilarious story had gotten round to all the dolls who all thought it was the hootiest hoot of a story but it was complete taboo around Elizabeth. If anyone even MENTIONED Mt. Vernon and hats in the same sentence she would get very vicious. 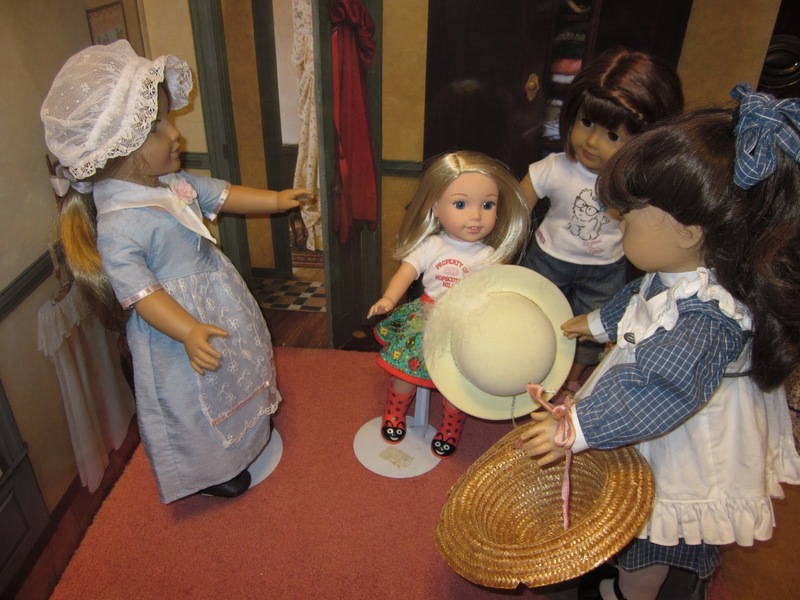 Katelynne could remember the story like it was yesterday…..
Felicity and Elizabeth were walking with Heather the human and her Uncle Andy, Aunt Deni, and cousin Aaron, in the Mt. Vernon Gardens. “Too bad it’s winter, these gardens are going to be boring,” Heather muttered. And sure enough, Aunt Deni pointed out the fleur de lis in the top right corner of the gardens. 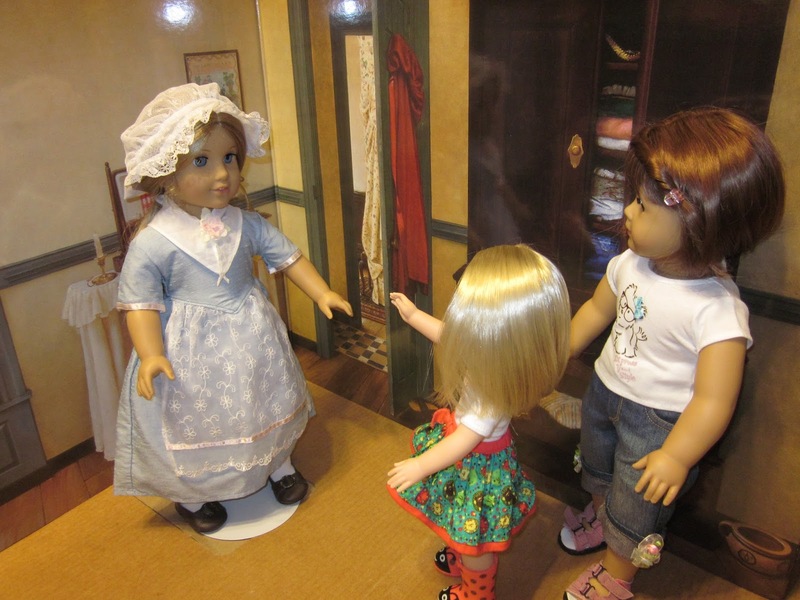 Deni also suggested to Heather to take the dolls out and pose them in front of the little shed. “I’ll bet that’s the door closest to our size that we’ll ever come to!” Elizabeth said. 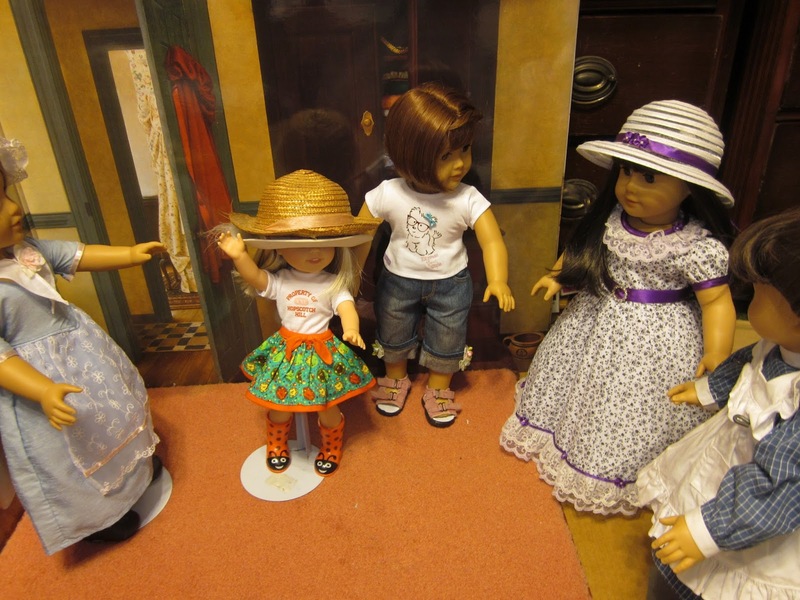 ‘I wonder how I’m going to fit this in the blog,’ Heather thought as she posed the dolls and took pics. “You’ll think of something! You always do!” Felicity said. “Don’t be ridicul–” but Felicity couldn’t continue because she gave a shriek and doubled over in laughter! 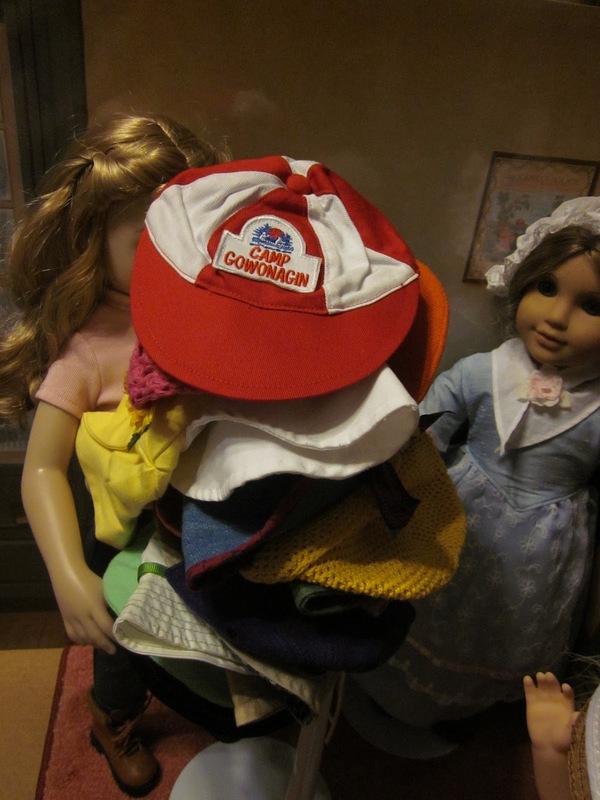 Elizabeth’s hat had been stolen — by one of the BOYS!!!! Who was wearing it!!!! “MY HAT!!!! !” Elizabeth cried. She was the only one not laughing. 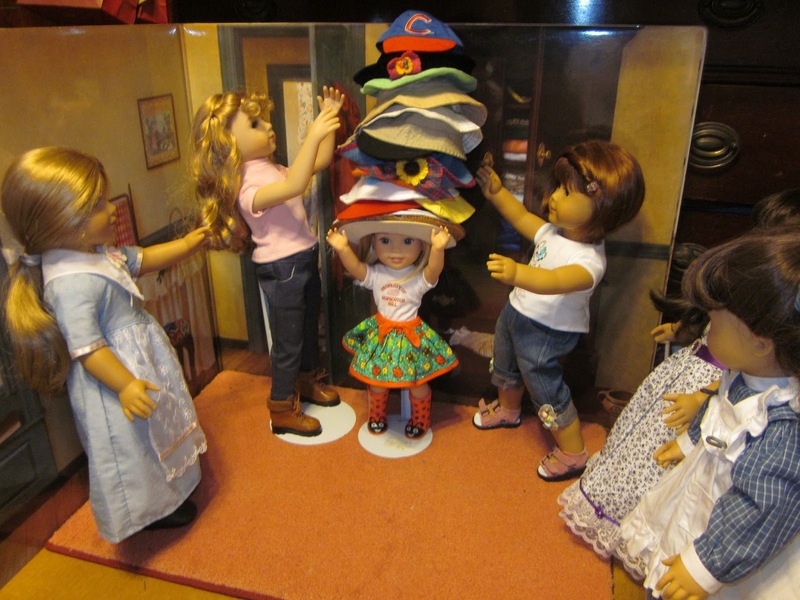 Felicity and Heather both thought it was so cute and sweet that Uncle Andy wanted to be a part of the doll adventure! But Felicity could feel Elizabeth’s mounting anger and embarrassment. “He’ll give it back,” she told her. 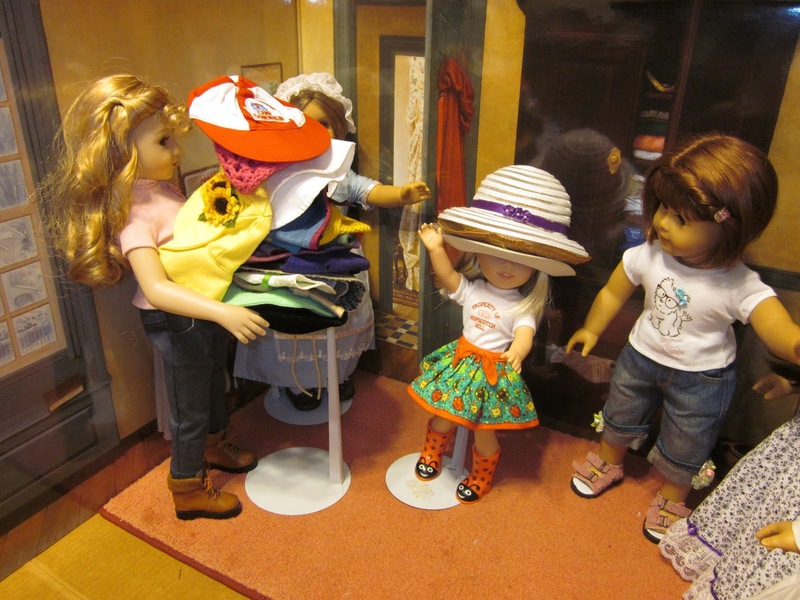 Elizabeth shook her head as she was packed back in the bag along with her doll stand and hat. Katelynne smiled and shook her head. “But what if we just….asked,” Camille said. “Why is it, that every time you say please you get what you want?” Katelynne groaned and got up and followed her to find Elizabeth. “A special one?” Elizabeth raised her eyebrows. Katlynne rolled her eyes and muttered something that Elizabeth couldn’t hear. “You really think so?” Elizabeth asked. Despite all the hat hoopla that surrounded her, she really did love her hat and thought she looked terribly smart and dapper in it. Katlynne’s mouth dropped open in shock. She couldn’t believe what Elizabeth was doing. Camille put the hat on her head. Just then, Amy came waltzing through the room. “Amy! Your hat! I bet it has fairy flower magic in it!” Camille cried from under hats. 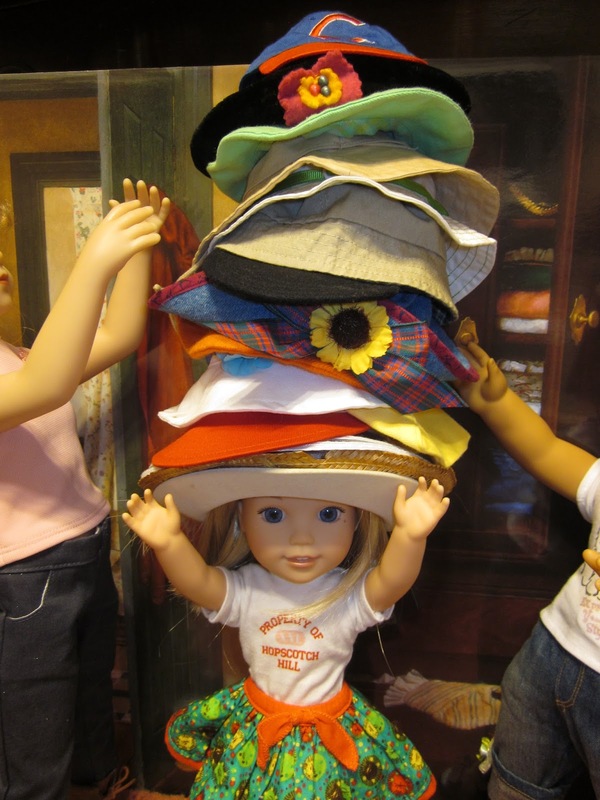 Another doll walked in the room, but they couldn’t even see who it was from all the mountain of hats. “Did someone say they needed thinking caps?” a sweet voice asked. 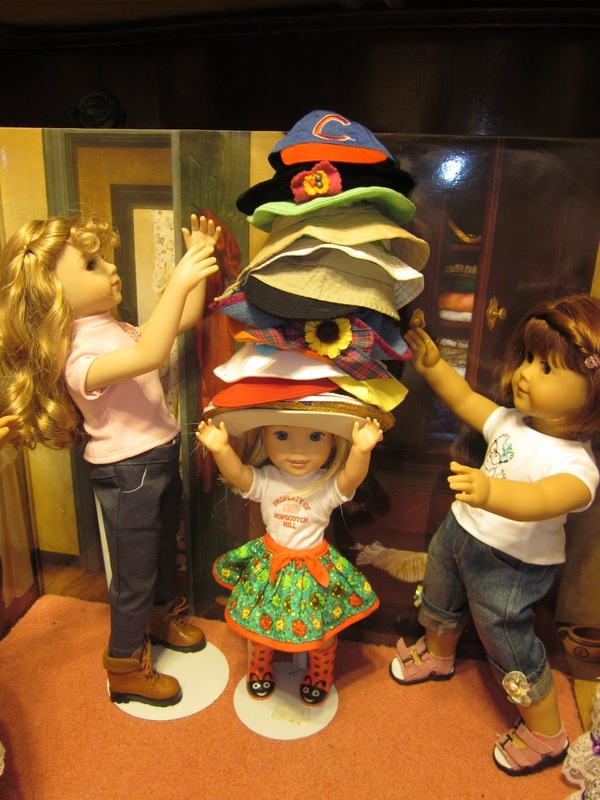 Katleynne and Annaleis stacked the hats on top of Camille and laughed and giggled. “Thinking very fast now!” Camille cried in excitement. 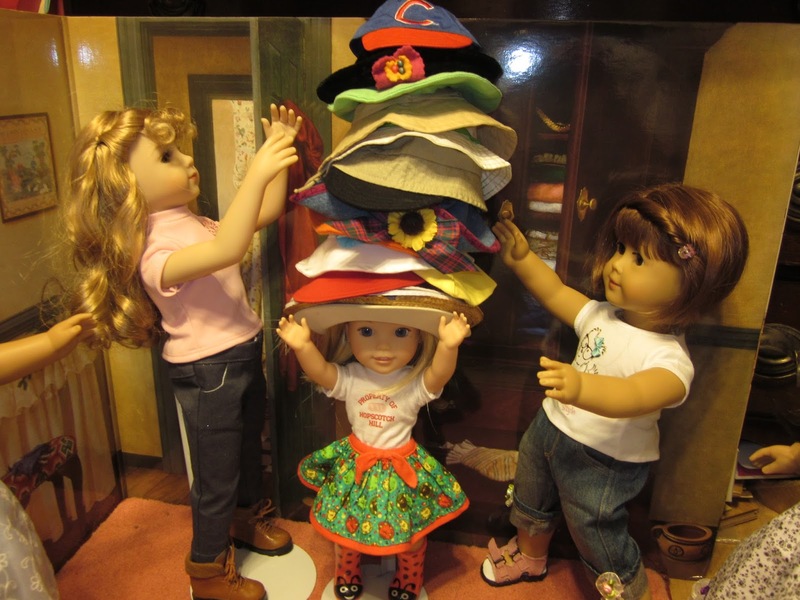 3 Responses to 500 Hats! Awesome spin on the 500 hats! I related to the comment about Heather wondering how she would fit the photo into the blog! I love Samantha in that outfit.